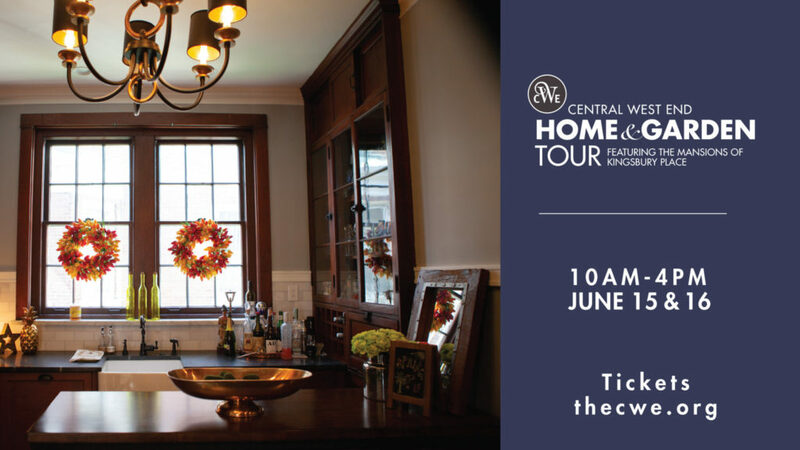 Tickets went on sale today for The Central West End Association’s 47th Home & Garden Tour scheduled for Saturday and Sunday June 15 & 16, featuring historic homes on Kingsbury Place. After 45 years as an annual event, the popular tour, which traditionally draws hundreds of people from all over the region, transitioned to a biennial schedule after 2015. Volunteer opportunities are available, including a role as House Captain (information about all that is involved follows*), or as a Guide ushering attendees throughout the homes and gardens—and perhaps sharing bits of history too. There are four 3-hour shifts available,** see information below. As a thank you, volunteers will receive a complimentary ticket to tour the homes on Saturday or Sunday. A Kick-Off Party, sponsored by realtor Ted Wight, is planned for Friday evening June 14 from 6 to 11 p.m. at the Kingsbury Place home shown above. The price of admission ($100 for CWEA members, $125 for non-members) includes food, an open bar, and a ticket to tour the homes on Saturday or Sunday. More information can be found on the website or Facebook page. *House Captain responsibilities include staffing a home with volunteers for both Saturday/Sunday morning and afternoon shifts, scheduling, and communicating with CWEA Volunteer Liaison Lacey Mitchell to ensure all rooms/shifts are covered. 10 a.m. to 1 p.m. and 1 p.m. to 4 p.m.
To sign up or for more information, contact CWEA Executive Director Jess Campbell, jess@thecwe.org. You can also purchase tickets for the Home & Garden Tour here ($20 in advance, $30 after May 15, or at the door). 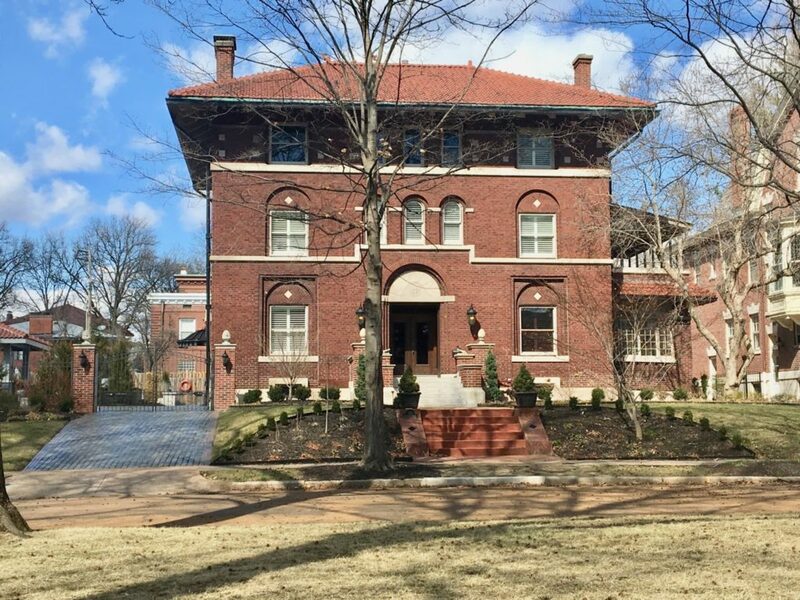 The board of The Central West End Association thanks you in advance for your support of this event which supports the organization and showcases the beautiful homes in the neighborhood, another wonderful reason to call the CWE home. And a big thank you to the generous sponsors of this year’s Home & Garden Tour, see list below.